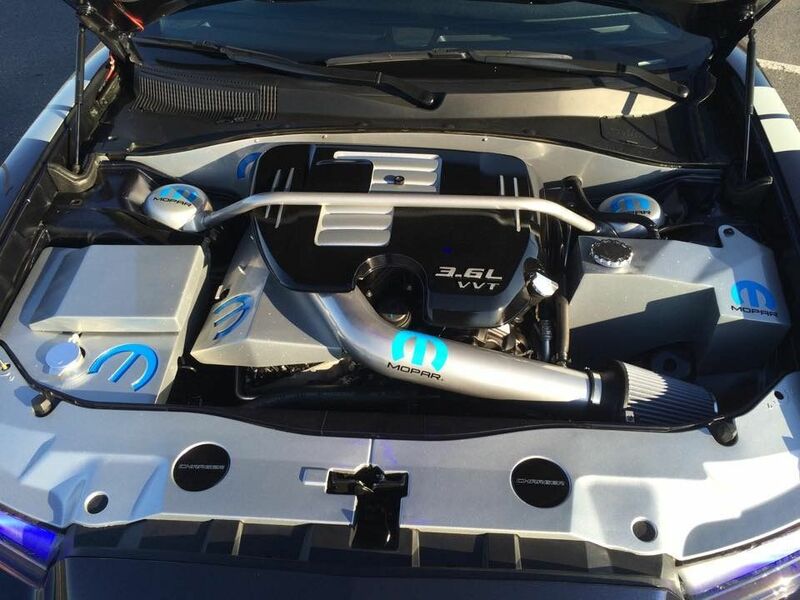 "Car Show Information Stand, Engine Dress-up and Prop Specials" - Dodge Dart Forum - Forums and Owners Club! 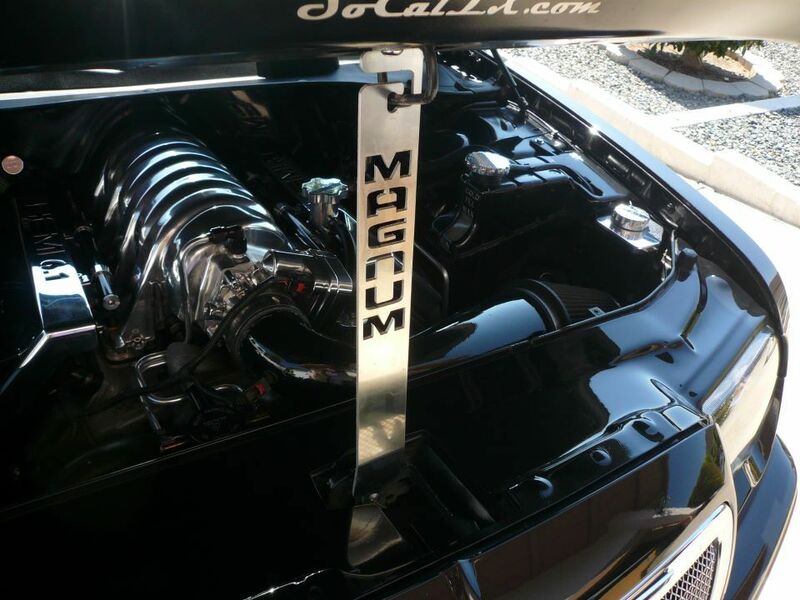 Dodge Dart Forum - Forums and Owners Club! > Vendors > 3G CustomZ - Dodge Dart Accessories! 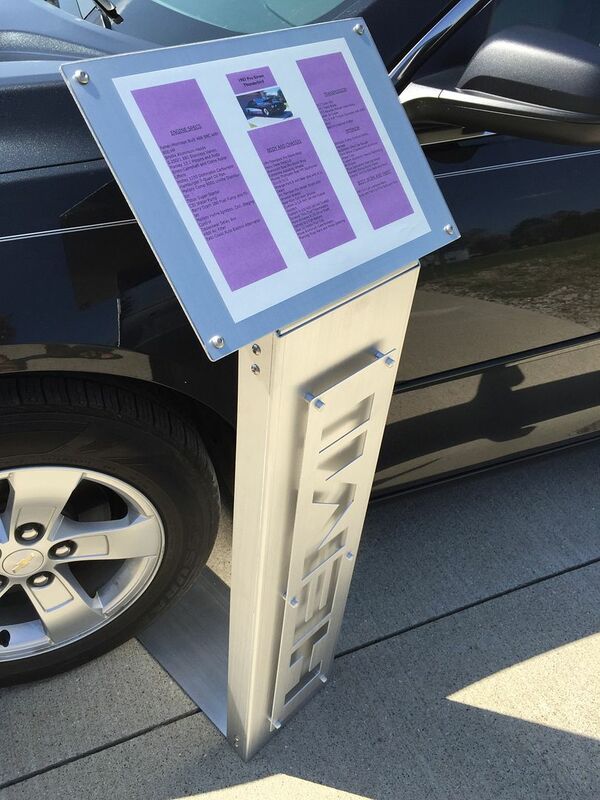 We are pleased to introduce our latest product, our "Car Show Information Stand". 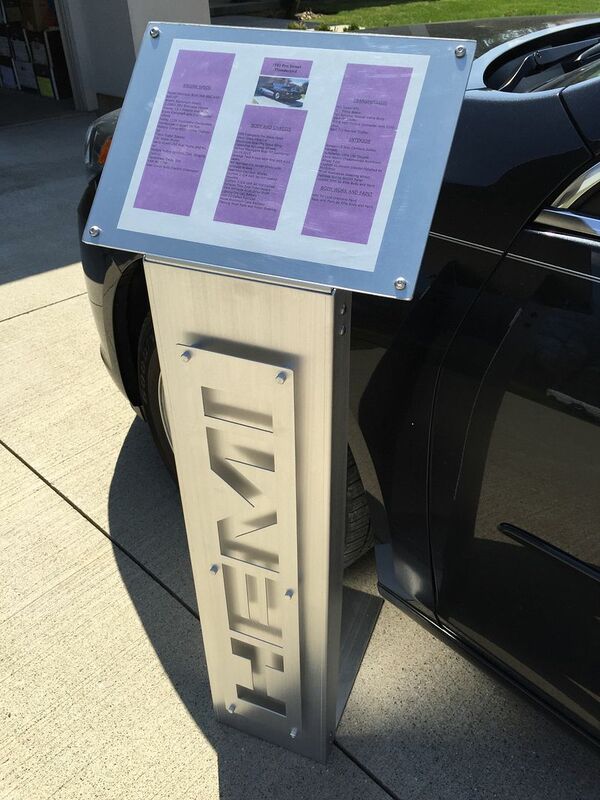 You now have a great way to display information about your pride and joy. 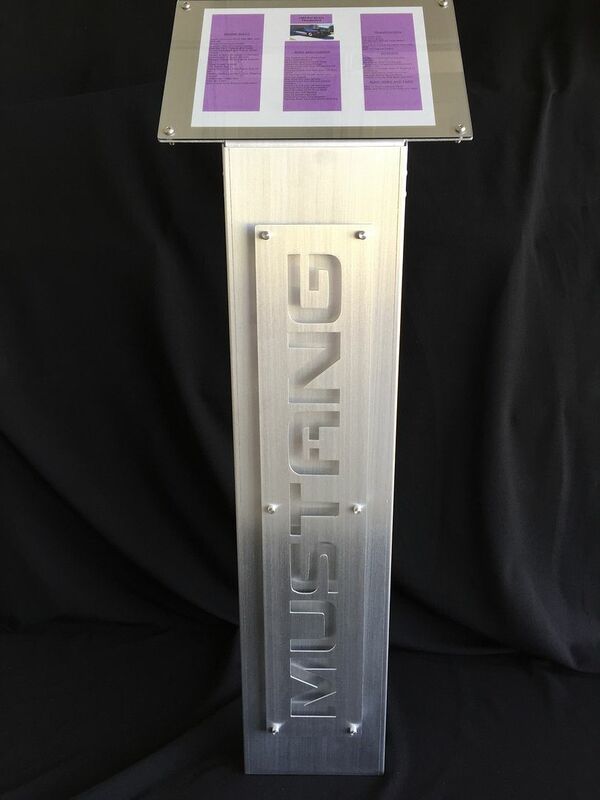 Each stand is made of light gauge mill finished aluminum with a sanded/brushed finish and with minimal prep work is suitable for customer painting, powder coating, wrapping or even polishing. 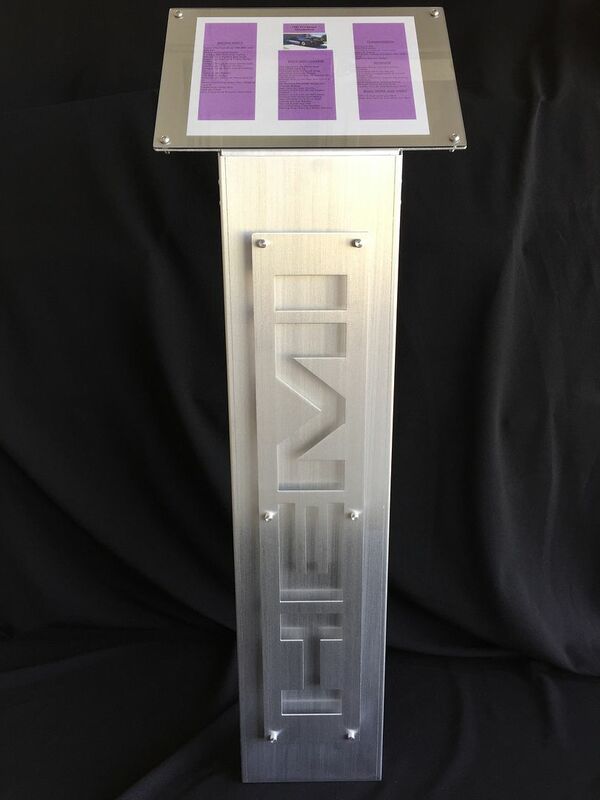 The display has a large 10” x 14” surface topped with clear Lexan to protect and hold your display information in place. 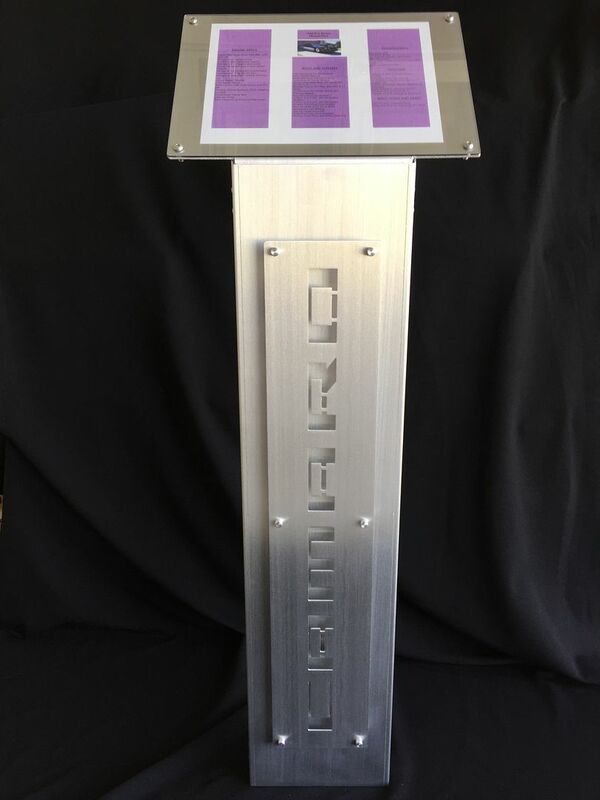 Whether your attending your local car show, a cruise or even a large trade show then this stand is what you need to add a touch of class to your car show set-up. With only 3 pieces to assemble (Wing Nuts Included) it is quite simple to put together at a show, then disassemble when you’re done. All hardware is included. Just slide the stand under your front tire to keep it from moving and your good to go. We will offer the stand in two designs. 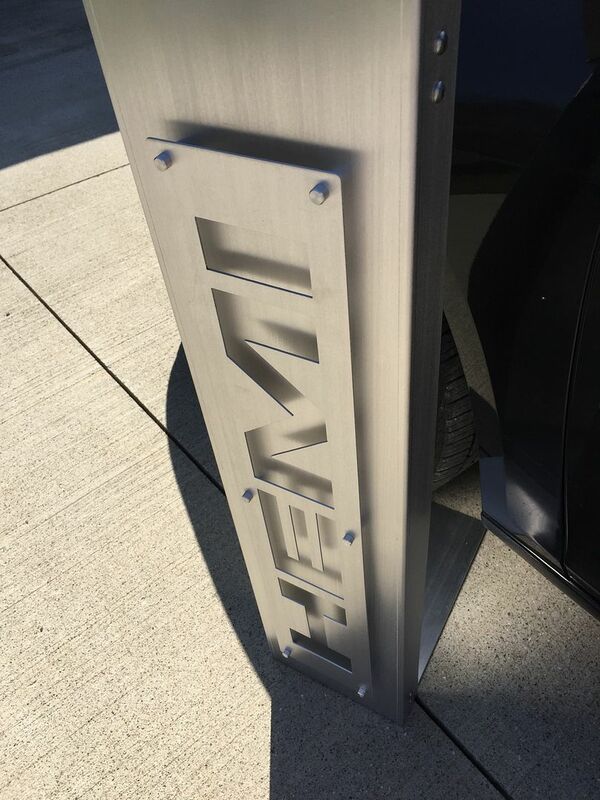 First will be a blank front panel design and second will be optional cutouts on standoffs to give it a real 3D look(Check shopping cart for available cutouts or let us know if you have your own idea for a custom cutout). For 15 days Friday May 8th through Friday the 22nd we are going to offer our Car Show Information Stands at substantial savings and even going to help you car show enthusiast get ready for car show season by kicking in another deal on our Engine Dress-up Covers and Car Show Door, Hood and Trunk Props. Here’s the deal. 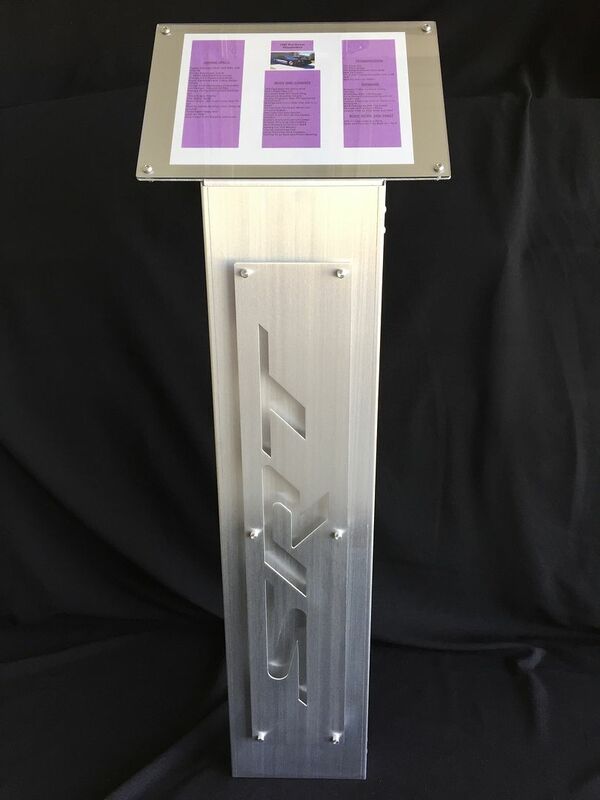 Our roll-out introductory pricing for these awesome products will be $170 for the blank panel design and $210 for the 3D look. That’s about a $30 and $40 savings off our website pricing. When checking out use coupon code “3G-CSIS-MAY15FS”. Custom cutout plate mounted on standoffs for that 3D look. Coupon Codes can not be combined so all Engine Dress-up Cover orders will have to be made on a separate order. 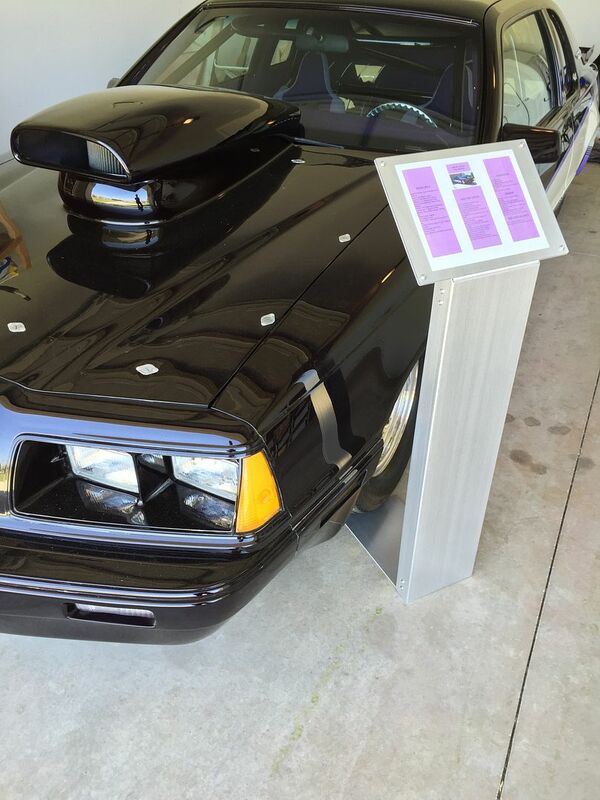 Lastly, you can't go to the shows without one of our awesome Car Show Door, Hood and Trunk Props so take off 10% on any purchase. Use coupon code “3G-PROPS-MAY15FS” when checking out. Coupon Codes can not be combined so all Prop orders will have to be made on a separate order. Cool items! Do you have door props to go with the hood props? Tuned/Full Bolt on's Rallye Catless DP w/ full 3" exhaust. 35% tint and Konig Crown 18" wheels Custom Dart badging and interior pieces.